I don’t know what happened on this world, but whatever the future holds, if we stand together, I believe transhumanity can face it. A young Martian joins a group of gatecrashers sent to investigate the sudden silence from a remote anarchist exoplanet research station and encounters an unexpected threat. 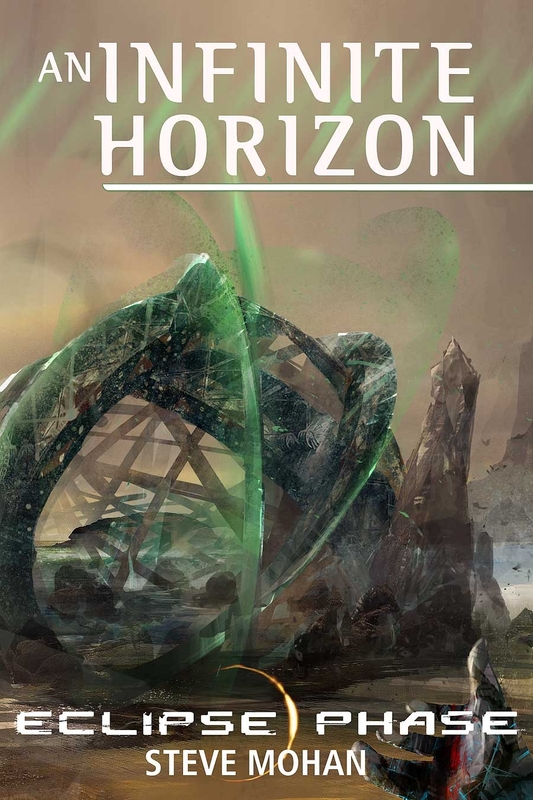 “An Infinite Horizon” takes place in the Eclipse Phase tabletop roleplaying game universe. The story originally appeared in the Gatecrashing exoplanet exploration sourcebook. If you already own Gatecrashing, you already have this story—but if you want it in ePub or MOBI format, this is the way to get it! Check out more fiction for Eclipse Phase! This title was added to our catalog on November 30, 2010.